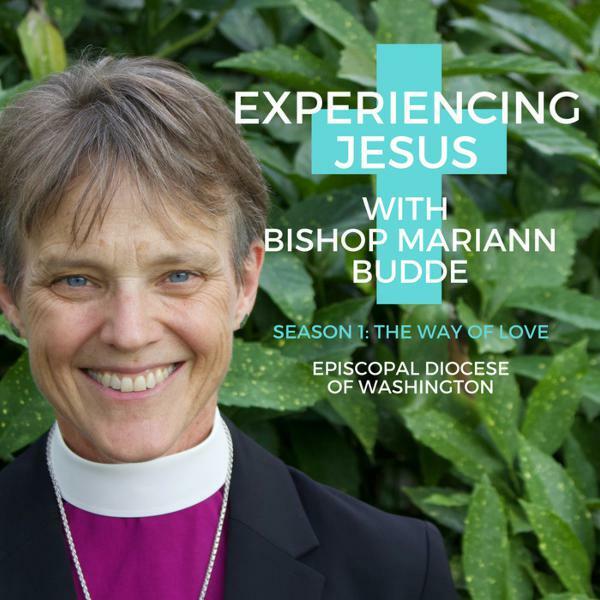 Experiencing Jesus with Bishop Mariann | Listen Free on Castbox. So often we think of the Christian faith as an obligation, or as a set of beliefs that we must hold. There are obligations and beliefs, but if we get stuck there, we can lose sight of, or never experience at all, what is most important. At its heart, Christianity offers an invitation to experience a loving, personal relationship with God. It’s a relationship we can trust, where we can find refuge and solid ground upon which to stand.The Way of Love is the journey of a lifetime. It’s a way of knowing God, receiving and sharing Jesus’ love, and being a blessing to the world. Turning is but one of seven practices in the Jesus-focused life. It’s the starting point when we first make the decision to turn toward the one who has come to us. We turn to him in need of forgiveness and strength. It’s a choice we make every day, to turn toward him and then to follow where he leads. But remember, as you turn, that he turns to you, first, and to me, in love. However we sense God’s call to go--to places that frighten or inspire us; to places we would choose gladly or do anything to avoid; to travel across boundaries or to stay put, physically and to deepen where we are--the greatest truth is this: we do not go alone. I hope you know that. I hope you know that Jesus is always with you. And that God doesn’t expect us to get it right all the time, or even to say yes the first time, or the second, or third. But getting to yes, when we sense God is calling us to go somewhere, is, in fact, better than no. Even if where God’s calling us is right where we are, trying to determine the next faithful step. It’s been said that there is more to life than increasing its speed. We are more in God’s eyes than what we feel we must do. To realize that for God rest is a priority for us surely has the power to shift our perspective even a little bit. Perhaps we can trust what the Book of Common Prayer encourages us to pray is actually true: that in returning and rest we shall be saved, in quietness and confidence shall be our strength. May that be true for you, for all of us.